At SAP Sapphire Now, CEO Bill McDermott outlined the company’s plan to replace legacy sales-focused CRM with modern applications that are centered around customer experience. Long considered a leader in back-end line-of-business applications but a follower in the front office, SAP is taking on Salesforce with a bold plan to offer new customer relationship management (CRM) technology. The company revealed a blueprint of what it characterizes as a modern, customer relationship management (CRM) suite, capping several product and technology announcements and go-to-market initiatives outlined at the SAP Partner Summit and Sapphire Now conferences, taking place in tandem this week in Orlando, Florida. SAP’s new C4/HANA CRM suite, set to roll out in stages later this year and throughout 2019, aims to replace the legacy sales-focused posture to CRM with a customer-oriented approach. It will do so by integrating the new suite of sales, marketing, e-commerce and customer-service applications with the S4/HANA in-memory database platform that runs SAP’s flagship back-office line-of-business ERP, supply chain, finance and HR apps. 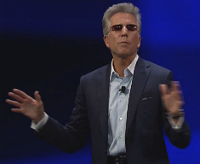 “The entire supply chain is connected to the customer experience, from a first-generation cloud user experience to the best consumer-grade experience in the CRM industry,” said Bill McDermott, SAP’s CEO, speaking in the opening keynote session at Sapphire Now. SAP’s recent acquisitions of Hybris, a supplier of omnichannel e-commerce software, trusted customer identity and profiling provider Gigya and CallidusCloud, an integrated cycle solution, are the core components of C4/HANA. SAP this week also announced the acquisition of CoreSystems, designed to improve field service customer support. Providing the CRM integration with S4/HANA and rival offerings from Salesforce, Oracle and others, the company announced its SAP HANA Data Management Suite. “We can integrate the entire value chain to make the best customer experience a reality,” said Bertram Schulte, SAP’s chief digital officer. In addition to integrating with its back-office portfolio, SAP’s HANA Data Management Suite will include the Leonardo machine learning technology, introduced last year. It also will include the new SAP Data Hub, announced in September, which will provide both cloud and on-premises platforms for information pipelining, enrichment, orchestration and governance; the SAP Enterprise Architecture Designer; and the SAP Cloud Platform for Big Data Services, which delivers analytics capabilities in the SAP Cloud with Hadoop and Spark based services. SAP’s effort addresses what customers are looking for, but delivering on this week’s announcements is also an ambitious undertaking, said Joshua Greenbaum, principal analyst with Enterprise Applications Consulting. The company outlined how partners can handle much of the aftermarket integration as well. The new SAP Leonardo Partner Medallion Initiative, announced Monday at the SAP Partner Summit, will let system integrators and digital technology providers deliver solutions based on the Leonardo machine-learning technology. According to its surveys of business leaders, SAP said 60 percent have begun implementing AI into their processes or plan to do so this year, with one-third responding that they will spend anywhere from $500,000 to $5 million. The new partner program provides certification, support and acceleration tools for vertical industries and specific business functions that partners can customize for customers. The first 13 partners announced by SAP include ABeam Consulting, Accenture, Capgemini, Deloitte, EY, HCL, Hitachi Consulting, KPIT, Mindtree’s SAP practice Bluefin, NTT, PWC, TCS and Wipro. The partners have so far developed 35 industry solutions with 43 in the pipeline, which the company said include supply chain and logistics, digital customer engagement, sales forecasting and cognitive controlling. Separately, SAP announced partnerships with Accenture, Capgemini and Deloitte to provide industry solutions based on S/4HANA. “This is a key part of how they will fit the needs of this existing customer base,” Greenbaum said. “The cloud fits a standard, but companies want their special business problems and competitive advantage encoded — and that’s what these partner extensions are all about. SAP’s goal to build front-office applications off S4/HANA comes after a year in which CRM overtook database-management systems as the largest market for enterprise management software, in terms of revenue, according to Gartner. 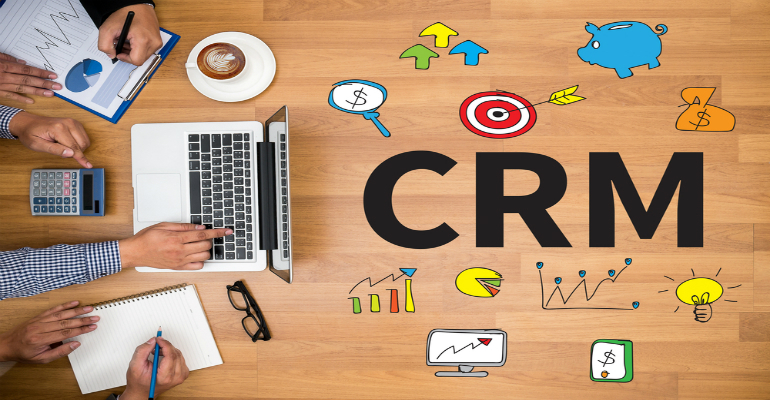 Revenues worldwide for CRM software last year were $39.5 billion, the market researcher recently said. SAP ranks second behind Salesforce, but the market leader holds almost 19 percent share, Gartner told the Wall Street Journal, compared with SAP’s 8.5 percent.